Selecting the best 3D printer for your needs is not an easy task. We want to make the process it a little bit easier with All3DP’s Best 3D Printer Awards. If you are a newcomer to 3D printing, things can get overwhelming. Specifications and terminology may sound gibberish and intimidating. So you best resort to a dedicated 3D printer for beginners, right? Unfortunately, that’s not always the case. There are four traps you can fall into. 1. There are some 3D printers on the market that claim to be “best 3D printers for beginners”. While they come prebuilt, you will pay extra by paying for overpriced filament, get frustrated with poor build quality, and get dubious printing results. To avoid this, better check some independent reviews the chosen model. 2. Don’t buy too cheap. When looking for the best 3D printer for your money, the worst thing you can do is to waste it on a cheap, untested no-name 3D printer. Don’t get us wrong, we don‘t want to talk you into spending more of your hard earned money – but there’s a huge difference between a „best cheap 3D printer“ and the best cheap 3D printer. Again, reviews matter to get the best 3D printer available. 3. Also, there’s a legion of the Prusa i3 clones. They come in different brands, variations, and fittings. While some are actually really good, others offer inferior quality and are way too complicated to handle. Most of the Prusa clones come as a kit, which complicates things. If you want to go for one, make sure the machine has a good, readable documentation and an active community, so you have someone to ask if you are running into trouble. 4. So why not buy a 3D printer on Kickstarter? In our opinion, Kickstarter and Indiegogo are not the best places to buy 3D printers. You can get ripped off intentionally (like with the $99 “Peachy Printer“), leave empty-handed (like with the “Tiko 3D“) or get your printer much later than promised (which happens to most Kickstarter projects). After so much advice, we recommend you to take a look at the categories “Best 3D Printer under $250“, “Best 3D Printer under $500“, and — of course — “Best 3D Printer for Beginners” of All3DP’s Best 3D Printer Awards. Surely, you’ll find the best 3D printer for you in these categories. If you consider yourself a tinkerer or maker who wants to tap into 3D printing, you won’t need the most expensive and flashy model available on the market. The good part is that you can save a significant sum by buying a 3D printer kit. You’ll also learn a lot by assembling the machine yourself. The market for the 3D printing hobbyist is heavily populated, so you have a great choice of machines to choose from. The most difficult part is finding the best 3D printer for your needs. If you want to make sure to get the best 3D printer, we recommend you take a look at the categories „Best 3D Printer for Beginners“, „Best 3D Printer Under $250“ and „Best 3D Printer Under $500“. These will give you the best bang for the buck. If you are already experienced in 3D printing and consider yourself a 3D printing enthusiast, you already have an opinion on the best 3D printer brands and their machines. You need some alternatives, not general advice. The categories „Best 3D Printer“, „Best 3D Printer Under $500“, „Best 3D Printer Under $1000“, „Best 3D Printer Kit“, „Best Workhorse 3D Printer“ and „Editor’s Choice“ are most likely to meet your needs. If you are a professional that just wants to get the job done by 3D printing, you don’t care too much about brands. You need your prototype without having to tweak dubious settings. You need a 3D printer something that works out of the box, that gives you hassle-free and reliable results. Also, the materials you can print on matter to you. If you feel you belong in this category, please check the „Best 3D Printer“ and „Best Workhorse 3D Printer“. If you need high-quality details, you should also check our award for „Best SLA 3D Printer“. 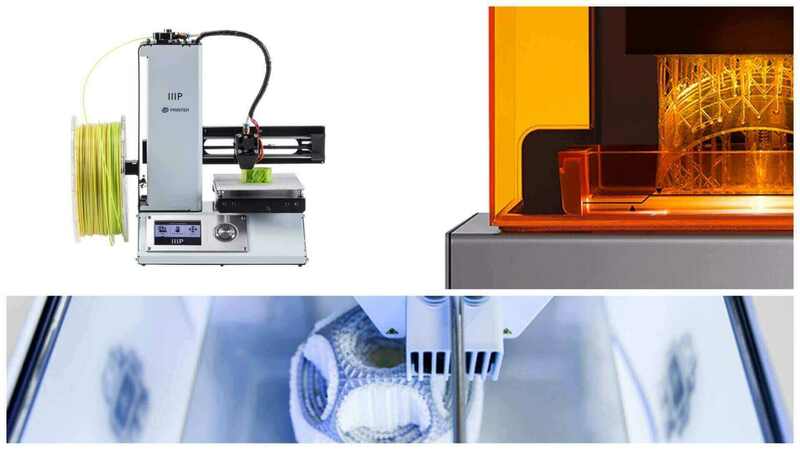 Raise3D N2 3D Printer: Review the Facts Here! Formlabs Fuse 1 3D Printer: Review the Facts Here! Win a Lulzbot Taz 6 Worth $2,500! Building the Original Prusa i3 MK3: Review the Facts Here!